A theme and variations is a common form in classical music. The form is simple, with an initial statement of the theme (a fundamental musical idea) followed by the same material repeated in a variety of different ways. The variations may alter the melody, rhythm, harmony, texture, or counterpoint – or all of these. Variations were often improvised by musicians and composers. Mozart and Beethoven were particularly known – not surprisingly! – for their ability to improvise variations on a theme. One of the most famous theme and variations for the keyboard is J.S. 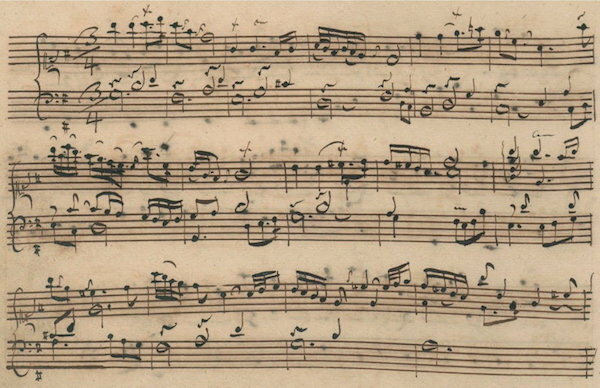 Bach’s Goldberg Variations. A landmark in the history of music, the piece consists of 30 unique variations on an unpretentious yet hauntingly beautiful theme. Perhaps the most famous recordings of the Goldberg Variations are by Glenn Gould. Gould was one of the great pianists of the 20th century, as well as being an extremely eccentric man. On a side note, those who like art films will be likely to enjoy the film 32 Short Films About Glenn Gould (the title and format of the film are a takeoff on the number of tracks on Gould’s recording – he ended by restating the theme). The movie came out in 1995 and was acclaimed by many critics as one of the Top 10 films of the year. May your spirit be refreshed by this timeless keyboard masterpiece.